The Water Poverty objective of the Digital Economy Act Part 5 allows the sharing of information between certain persons and organisations to support those living in water poverty. Jess Keedy, Head of Consumers & Retail Competition, Floods & Water Cluster at Department for Environment, Food and Rural Affairs (Defra), talks through the potential impacts and some of the practical steps involved in getting the powers up and running. There isn’t a strict definition of what water poverty is, but in the context of the Digital Economy Act it’s roughly defined as people who have water bills that are unreasonable to them. We know that some customers in vulnerable circumstances are not getting the help they need. The figures speak for themselves – 24 percent of households are spending more than three percent of their disposable income on their water bill and 11 percent spend more than five percent of their income. Those who say their bills are an unaffordable also sits at 11 percent. All water companies now offer a social tariff for customers struggling with affordability, which is great. However, research by CC Water shows that while take-up is improving, it remains relatively low. There’s a mismatch between how many people say that bills are unaffordable and how many are getting help through a social tariff. At the moment, to get help with their bills, customers have to proactively request it, which raises issues around how comfortable they feel doing that. So it can be difficult for water companies to identify, then provide support to vulnerable customers. So far, data sharing activities in the water industry, and between the water and energy sectors, has needed customer consent, which can be tricky in itself. Data sharing becomes blocked if the customer doesn’t want to talk about their affordability problems. There has been some good work where utility companies in some regions have been able to share information with each other about, for example, which customers might need certain priority services – so where a customer may be able to afford their bill but might need a different sort of support, such as a bill in braille or extra supplies in emergency situations. This sort of information sharing should mean that a customer who is vulnerable for a particular reason only has to come forward once, but ultimately their consent has still been needed for the companies involved to talk to one another. How do the new powers in Digital Economy Act Part 5 help? The powers in the Digital Economy Act Part 5 allow information to be shared between water and sewerage companies and other organisations to help water companies better target their support schemes. One of the big wins is that if data-sharing parties do everything as per the codes and regulations, customers should be able to get help with their bills much quicker, without the awkwardness of having to ask for it or having to give that consent. 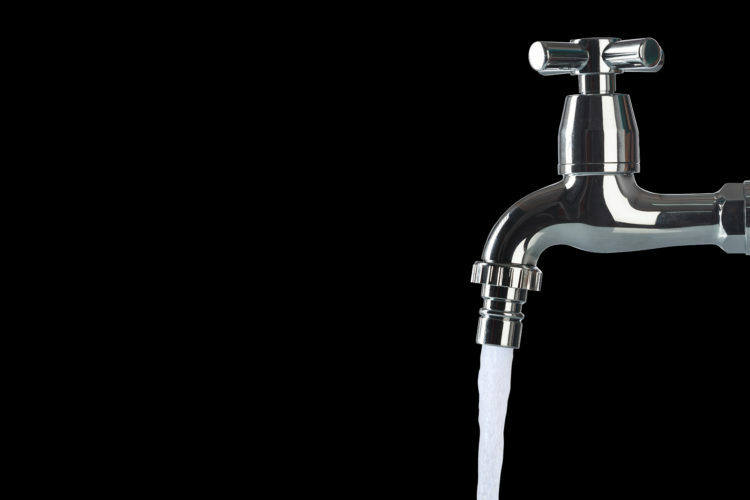 Water companies do a lot of work to try to identify vulnerable customers but it is hard to reach everybody, especially when many are reluctant to come forward. The new powers will make it easier for companies to identify customers who need help with their bills and enable them to proactively offer those customers their social tariffs. One of the first targets for data sharing in the water industry is the Department for Work and Pensions (DWP) because eligibility for a lot of the company social tariff schemes are linked to being in receipt of a particular benefit. Matching a water company’s data with data from DWP for a particular customer cohort will allow water companies to see any differences between customers in receipt of benefits and customers on a social tariff. If a customer is receiving particular benefits but is not on a social tariff, a water company can then get in touch with that customer and check whether they need help with their water bills with a social tariff. There is definitely a big appetite within the water industry to make use of the new data sharing powers, but there are some practical challenges to work through. Data sharing agreements need putting in place; lawyers need to be happy; IT teams need to have the right systems and processes in place to receive the data in its raw form and then be able to match it to the rest of the data that the water company holds. The water industry is working together, with industry body Water UK, to come up with a consistent model that is efficient and saves time. We’re at a stage where everybody is learning from one another, but the picture is hugely positive. I’ve even had queries from companies about whether data sharing can be used to offer other benefits to customers, such as water efficiency measures – there’s a feeling that this is the start of something really transformative. From a Defra perspective, we’d like to end this financial year with some data sharing having taken place, and over the next 18 months or so to have some statistics on whether water companies are reaching more people through their social tariffs. We hope we’ll see water companies finding it easier to identify and get in touch with vulnerable customers to give them the help that they need. It is not a quick process, but over time we want this new data sharing to mean that more people will find their water bill affordable.